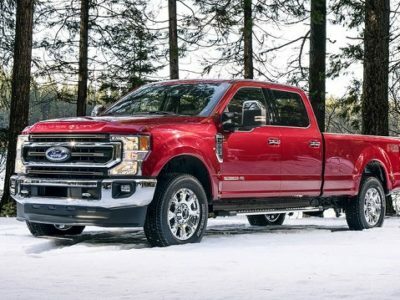 The super-capable 2019 Ford F-550 will be the last year model before we see a mid-cycle update of the current generation, which is present on the market for a couple of years. Designed exclusively in a chassis cab layout, this truck is a perfect solution for all those drivers who need an extremely capable working machine, with excellent capabilities. Also, it offers a surprisingly high level of comfort, considering the class. The upcoming model probably won’t bring bigger changes, while the 2020-year model will most likely receive a mid-cycle refresh. 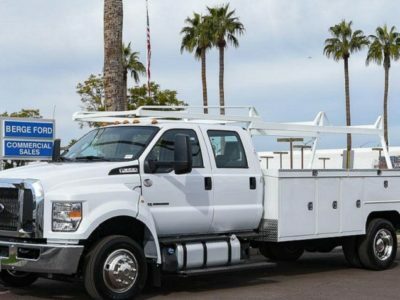 The 2019 Ford F-550 will continue with familiar characteristics, including the same trim level organization and pretty much-unchanged lists of standard equipment. Expect to see it in a month or two. In terms of base design characteristics, the 2019 Ford F-550 will remain completely the same. 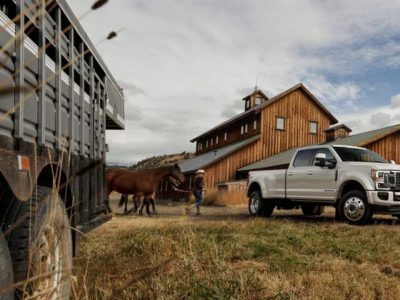 This is the most capable version of the company’s famous Super Duty series. It comes exclusively in a chassis cab body style and in a version with dual rear wheels only. Compared to other versions, it also comes with additional chassis reinforcements, in order to make the best possible results in terms of towing, hauling and other working tasks. Of course, this includes stainless cover for wheels as well. The 2019 Ford F-550 won’t be capable only but also pretty stylish, considering the class. 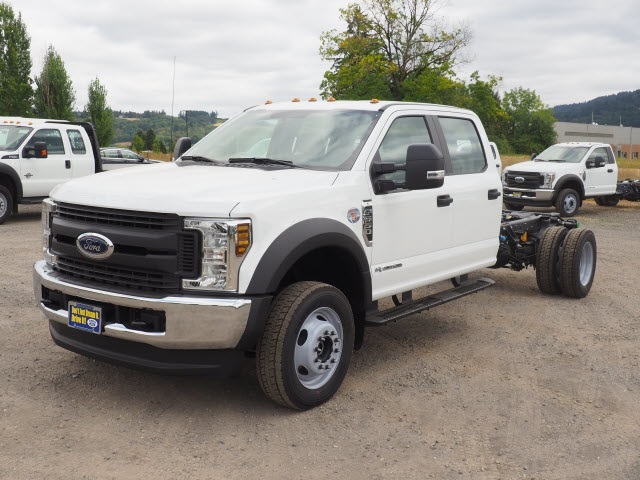 It follows the latest design language of Super Duty models, featuring a familiar face that is characterized by lots of straight lines and massive chromed grille. Also, you can notice plenty of details like wheels and rims, blacked fenders and similar things that clearly accentuate truck’s working nature. Same goes to the interior design. 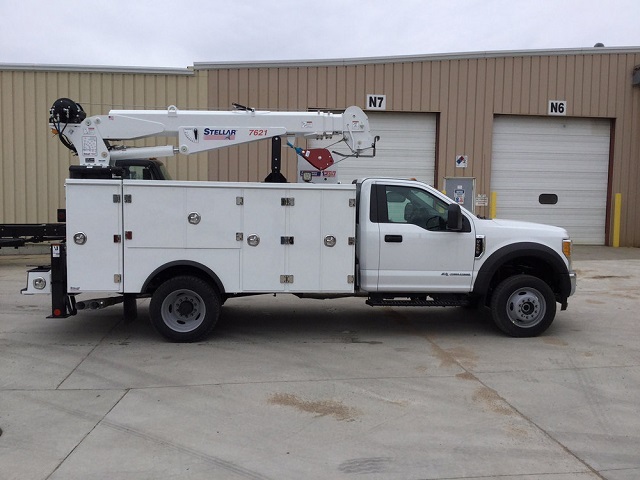 Once you get inside the 2019 Ford F-550, it will become obvious that this is a working machine. However, there’s a lot of comforts on the inside as well. First of all, the dashboard looks pretty stylish, though with a little bit boxier overall shape. All materials seem of a high quality, while many of them are also pretty soft on touch. 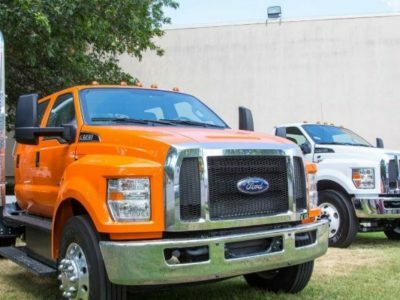 Just like the previous year model, the 2019 Ford F-550 will come in three trim levels. Those are XL, XLT, and Lariat. The XL is a classic work mule. There aren’t many features in terms of comfort and convenience, though you can find things like air-conditioning, 2.3-inch instrument cluster screen, tilt/telescoping steering wheel etc. Of course, there are many optional features as well. 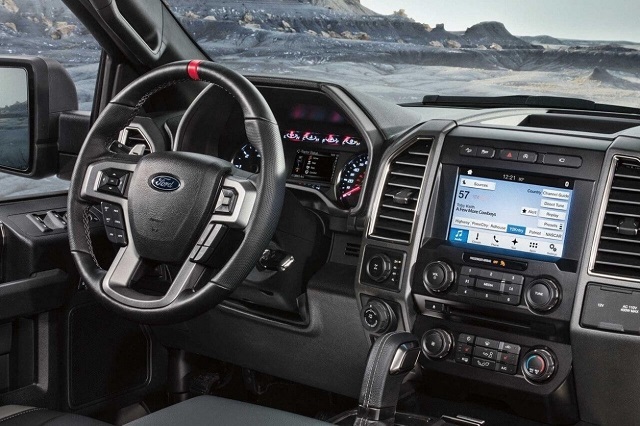 The XLT is already a much more comfortable. Some of the most notable additions are things like cruise control, power door locks and windows, rearview camera, electronic rear mirror, 110-V power outlet, steering wheel with mounted audio controls, remote start and much more. The top-range Lariat trims include all above and adds plenty of interesting features. Some of the highlights are things like power-adjustable pedals, all-weather floor mats, SYNC infotainment system, SiriusXM Radio. This trim also adds diesel engine as a part of standard equipment. This truck is a highly capable machine and the 2019 Ford F-550 will continue in the same way. There will be two familiar engines in the offer. A familiar 6.2-liter V8 that is available in lower F-250 and F-350 models won’t be in the offer for this truck. Base models will come with a large and proven 6.8-liter V10 engines. This engine may not be the most efficient one, but it will definitely last for ages. It features a total output of 288 horsepower and 424 pound-feet of torque. It comes in pair with a 6-speed automatic transmission. Still, if you need spectacular towing and payload capacity, and optional 6.7-liter diesel would be a perfect choice. This super-capable engine features a max output of 330 horsepower and 750 pound-feet of torque. This version can tow up to 40.000 pounds, while a max payload goes around 12.700 pounds. Once again, count on a 6-speed automatic gearbox. The 2019 Ford F-550 will come pretty soon. Though we are still waiting for the official details about the launch date, it will certainly happen in about a month or two. Considering that there are no bigger changes to come, prices should remain in the pretty much same range. Of course, smaller deviations are possible. Of course, the base XL trim will be the cheapest version of the 2019 Ford F-550. If we look at the current price list, it goes around 39.000 dollars. 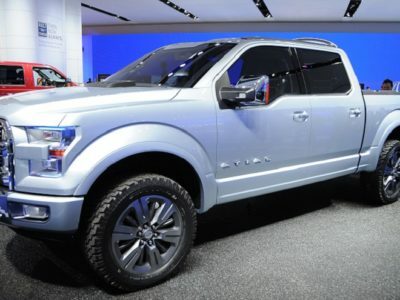 The XLT trim currently goes around 42.500 dollars and should remain pretty much the same. 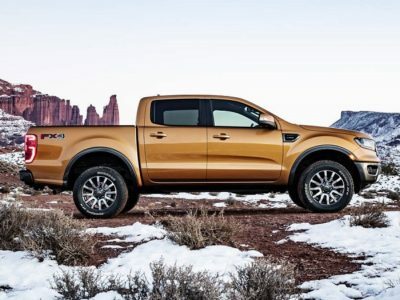 Finally, there is a top-range Lariat trim. Consider that a diesel engine is a standard feature in this model, the price goes significantly higher compared to XLT trim. This version is available at 58.000 dollars. 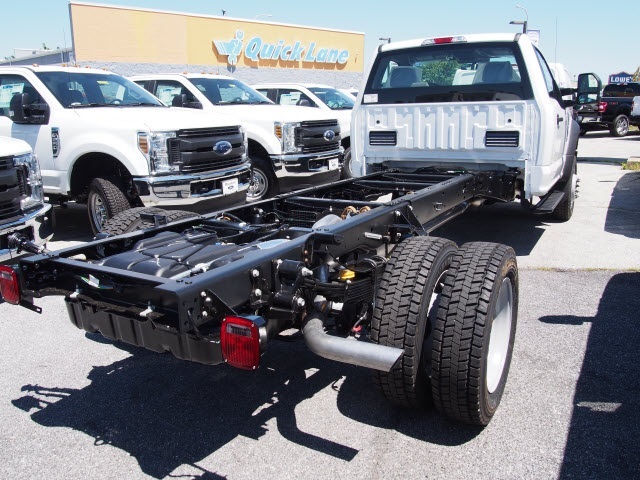 On all F-550 models, the company gives a three-year bumper-to-bumper warranty, as well as a five-year warranty on the powertrain.